Jennie, author of Kikay Corner, is one of those who responded to my call for beauty reviewers. Why did I choose her? First, because she's a beauty blogger so I know she's interested in beauty stuff and, more importantly, she can write. Second, well, because she's my dear friend so I know I'd feel very comfortable with her when we went to The Spa at The Fort to review a treatment for OK! magazine's June issue. 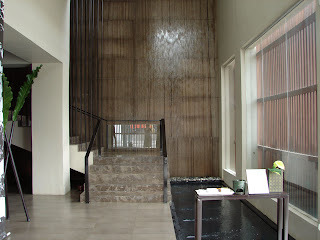 The lobby is filled with the sound of cascading waterfalls. That entire wall is shimmering with falling water, which then gathers around a pool (the black part at the bottom right). Quite lovely actually. The picture doesn't do it any justice. Oh, can you see me? Up the stairs to the foyer, which has these amazing steel sculptures you can sit on. They're quite comfy, too. 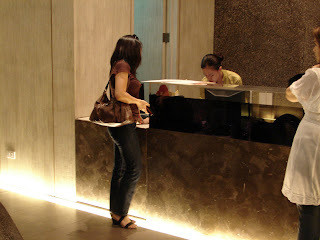 Jennie checks in! The staff of The Spa are quite courteous. And I love how their voices are so melodious that just listening to them is enough to relax you. This is the lounge. Jen and I part ways at this point. She went off to try the Infrared Sauna and then an hour-long massage. The treatment is supposed to detoxify your system. I hope she took pictures because I hear the private villa she was ushered into is fantastic! 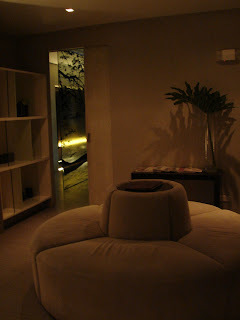 I had a delightful 60-minute foot spa in this super relaxing room. It's actually very dark in this room but I opened the aperture of my Sony Cybershot camera to capture more light or else you won't see anything. Anyway, those chairs are unbelievable. Sooo deep and heavenly. Now, when I do a review, I always have to stay awake so that I can observe every detail of the treatment. But the foot spa was so fantastic, I fell asleep! And when I fall asleep during a treatment, then believe me when I say that that's the best thing I can say about it! 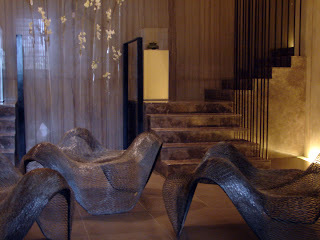 The best thing about my day, however, was spending it with a dear friend... in a world-class spa no less! Jen! 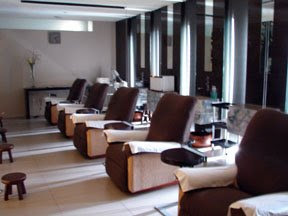 I enjoyed our spa day, too! Love ya! DaisyChain, luck rubs off on others so here I am sending you luck and love from Manila! Myundiary, yep, don't forget to make some "me time" for ya! omg! 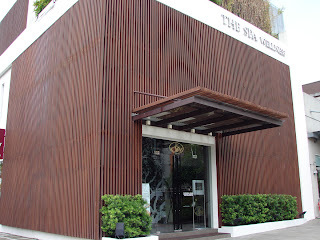 ang ganda ng spa! 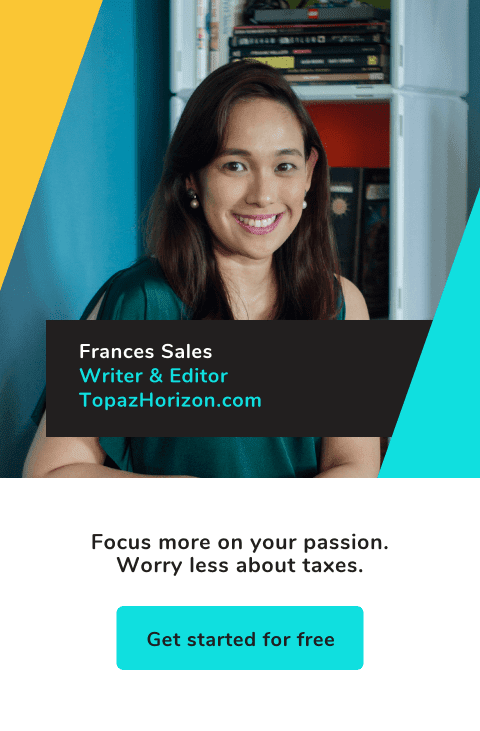 i really love your job frances! hahaha. miss ko na ang spa!